Give yourself the ideal way to gloss things up with eye-catching spot UV effects! 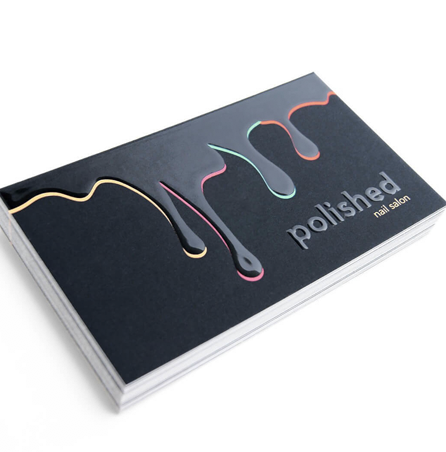 Suede Raised Spot UV Cards from ASEPRINTS.COM feature smooth glossy raised areas that contrast beautifully with the Suede/Soft Touch Laminate foundation of the cards. Suede Raised Spot UV Cards are real game changers for folks who want to exude style, elegance, and class. *note: Spot UV options takes 5-7 days production time.